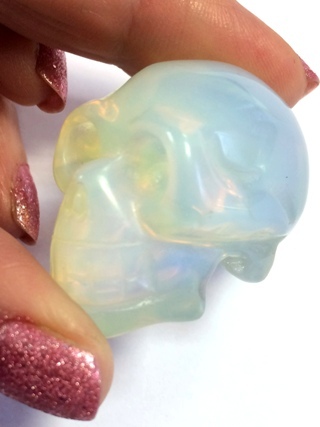 A tactile and heartwarming Opalite crystal skull. Opalite is a laboratory grown crystal that mimics the appearance of Opal. It is attributed with the qualities of boosting a sense of community spirit.